Whether you’re buying, scrounging or borrowing, you can find .300 Win. Mag. ammo almost anywhere. The race doesn’t always go to the swift, as the tortoise taught the hare. For many years the 7mm Rem. Mag. was the world’s most popular magnum cartridge, followed by the .300 Win. Mag. In recent years, however, the 7mm Rem. Mag. has slipped. Although still widely available, it isn’t nearly as popular today as the .300 Win. Mag. Introduced in 1962, Remington’s Big Seven got a year’s head start on Winchester’s .300. Launched together with the Remington Model 700, the 7mm Rem. Mag. took off immediately. Like the tortoise, the .300 got off to a slow start, meeting resistance right out of the starting gate. These two belted magnums are similar. Both are based on the .300 H&H case shortened to fit into standard-length actions. The primary difference is one takes a .284-inch bullet, the other a .308-inch bullet. You make your pick based on whether you favor the 7mm or .30 caliber. The 7mm Rem. Mag. was hardly a new concept. The .275 H&H Magnum (1912) is suspiciously similar. Roy Weatherby’s 7mm Wby. Mag. (1944) is almost identical except for the Weatherby shoulder and it runs a bit faster. The 7x61 Sharpe & Hart (1953) has a shorter case and is slightly slower, and it was gaining popularity in the late 1950s. But somehow the 7mm Rem. Mag. got the public’s attention, and it has sold well for a long time. It is a great hunting cartridge. Although never favorite caliber of mine, I’ve had several 7mm Rem. Mag. rifles, a couple of which were favorites. I have no idea how much game I’ve taken with the cartridge—but it’s a lot, and in a lot of places. Exactly why it has slipped recently is somewhat of a mystery. Part, no doubt, is that there are now several other faster 7mm cartridges (.28 Nosler, 7mm Rem. Ultra Mag., 7mm STW), so its specific niche is diluted. But we could say the same about the .300 Win. Mag. The .300 Weatherby was always faster, and the newer .30 Nosler, .30-.378 Weatherby and .300 Rem. Ultra Mag. are all faster. Maybe the American public’s loyalty to the .30 caliber—established by the .30-30 and immortalized by the .30-06—has finally shown through. Who knows, but it’s certain that the .300 Win. Mag. didn’t take off as fast as Remington’s 7mm. There are several reasons for this. First, Roy Weatherby’s .300, flagship of the line, made serious headlines throughout the 1950s. The upstart Weatherby magnums almost certainly drove Winchester to create its family of magnums and Remington to respond with the 7mm. Second, the much-beloved and long-established .300 H&H was the standard fast .30 in 1963. Removing the body taper and shortening the case to fit into a .30-06-length action was a good idea, but both the full-length H&H and the .300 Wby. Mag. were pretty popular. That was 1963. The first full year of .300 Win. Mag. production, 1964, saw Winchester’s disastrous sea change from pre-1964 to post-1964 production. The .300 Win. Mag. was caught up in that storm. Also, to increase powder capacity, and thus velocity, the Winchester engineers put a very short neck on the case. Long-held design theory has it that a cartridge should have a full-caliber neck (in the case of a .30-caliber cartridge, a neck of at least .308 inch) in order to properly grip the bullet. Naysayers seized on this, although those who actually tried the new .300 found it quite accurate and had no problems. But all of this combined made the rise to popularity of the .300 Win. Mag. slow, albeit steady. I had a .300 Win. Mag. back in the mid-1970s, long before I owned a 7mm Rem. Mag. That rifle was based on a Mark X Mauser action and was very accurate, but for unknown reasons I never hunted with it, and it was stolen in about 1981. In the 1980s I became a .300 Wby. Mag. guy. It was faster, and I sort of ignored the fact that it needs a 26-inch barrel while the .300 Win. Mag. does just fine with a 24-inch barrel. I suppose if you want to split hairs you could also say that, based on case length, in any barrel the .300 Win. Mag. gets a third of an inch more rifling than the .300 Wby. Even so, in the “fast .30” world my comfort zone has long been the .300 Wby. I’ve had several over the years, and while it may not be a benchrest cartridge, I’ve always gotten good accuracy. I’d never actually owned another .300 Win. Mag. until quite recently, but over the years, lots of test rifles so chambered came and went. Most were very accurate, and one by Ray Riganian was downright spectacular. Over the years I’ve hunted with several .300 Win. Magnums—test guns, TV sponsor rifles, borrowed rifles—pretty much all over the world. Its ascendancy over the 7mm Rem. Mag. is fairly recent, but for many years it has been a world standard cartridge and by far the most common fast .30. Whether you’re buying, scrounging or borrowing, you can find .300 Win. Mag. ammo almost anywhere. We can argue the finer points of cartridge design and the advantages of a bit more velocity, but none of the other fast .30s are anywhere near as available and most are impossible to find in out-of-the-way places. But virtually all rifle manufacturers chamber the .300 Win. 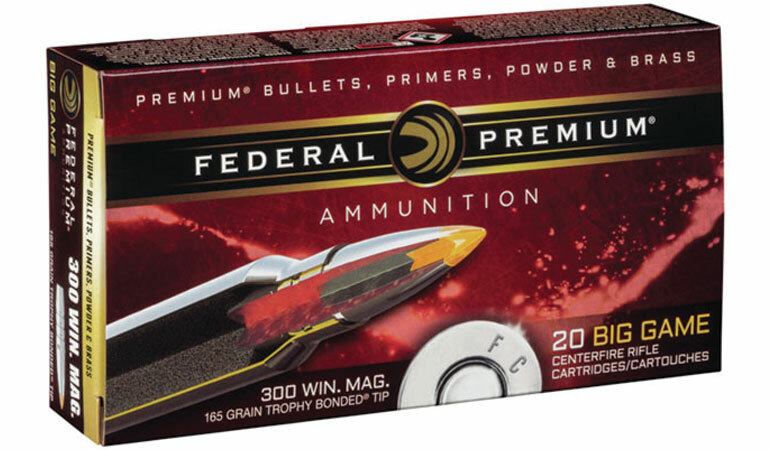 Mag., and all ammunition manufacturers load it—yielding a rich variety of loads. This is not true of any other fast .30 caliber. Popularity has benefits in the continued development of loads. This applies to all extremely popular hunting cartridges, including the 7mm Rem. Mag. as well as the .300 Win. Mag.—but not any other fast 7mms or .30 calibers. I have a .300 Win. Mag. now, an accurate, medium-weight rifle by Kenny Jarrett. With new propellants and continued load development, my chronograph tells me the .300 Win. Mag. is a bit faster than it used to be, thus the gap between it and the .300 Wby. Mag. has narrowed. As a bonus, it can be built into a lighter rifle with a shorter barrel. I haven’t given up on the .300 Wby. Mag., and two of my favorite hunting rifles are so chambered. But even though it took a half-century at its tortoise-like pace, the .300 Win. Mag. not only has passed the 7mm Rem. Mag., but also beats all the other fast .30s in the worldwide popularity race.